The Carlton is an interesting watch. Why? Because there are several unique varieties to it that depend upon the year it was made. 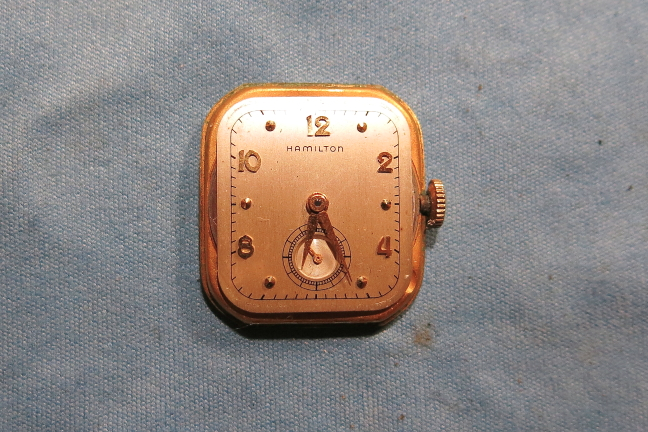 The Hamilton Carlton was produced for four years. 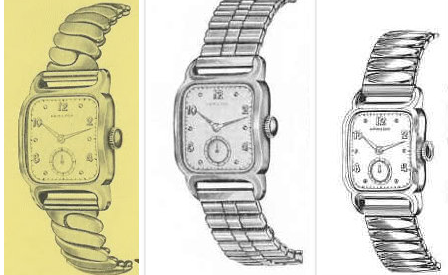 Each year from 1951 to 1954 it received a different bracelet design. In addition, in 1954 it had two different dial patterns to choose from. 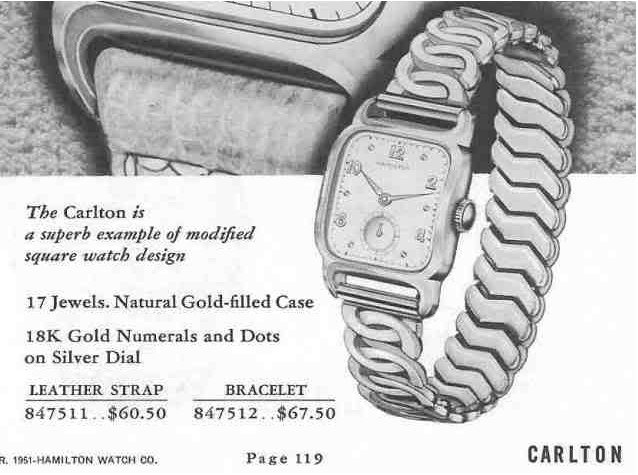 So, technically you could collect five different Carlton varieties with unique bracelets and dials - plus more if you wanted one or two on straps! 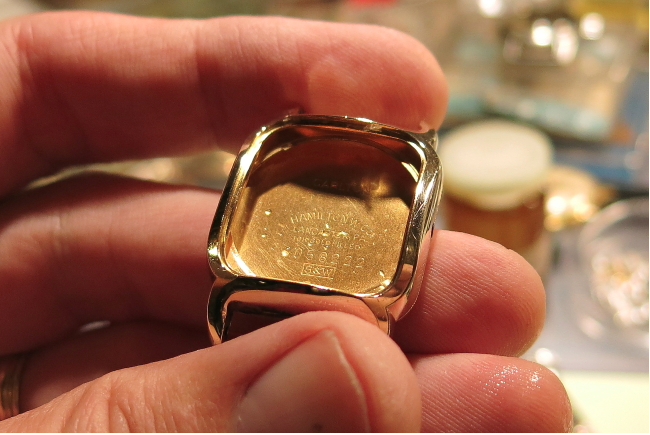 The Carlton's case is 10K gold filled. 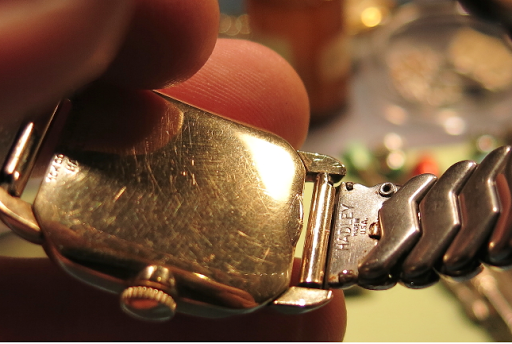 The dial is a butler finished sterling silver and the applied numerals and dots are solid 18K gold. Personally, I'm satisfied with just having one Carlton. 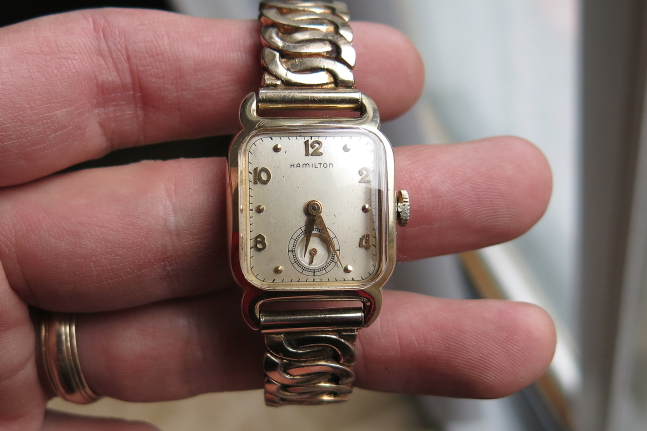 I recently obtained a 1951 example - as you can use the original bracelet to identify the year. As received, it was in really nice shape - just the usual amount of "old man funk" on the bracelet that a few minutes in the ultrasound would clean up. This bracelet is a Hadley. 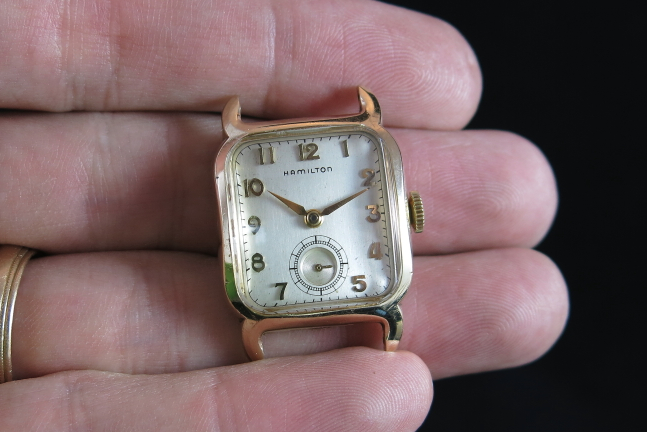 Outside of the case, the dial is original and in excellent condition. 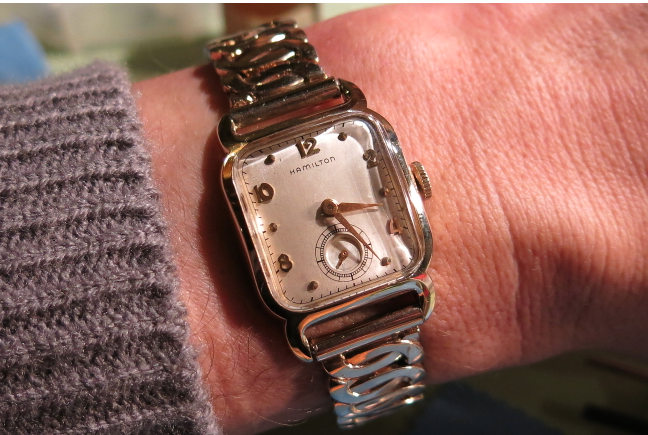 The other dial you might find on a 1954 example would be all numerals. 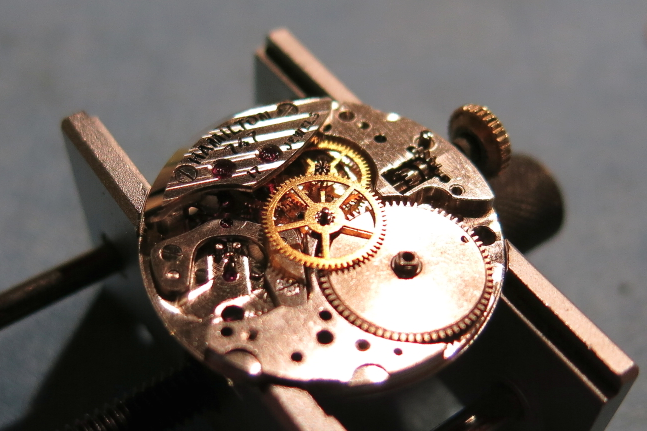 After removing the hour and minute hands, you can remove the dial by loosening the two dial feet screws located on opposite sides of the movement. You can see one of them in the photo below. I use the dial to remove the second hand - as trying to remove it with tweezers risks accidentally sending it into the stratosphere - never to be seen again. 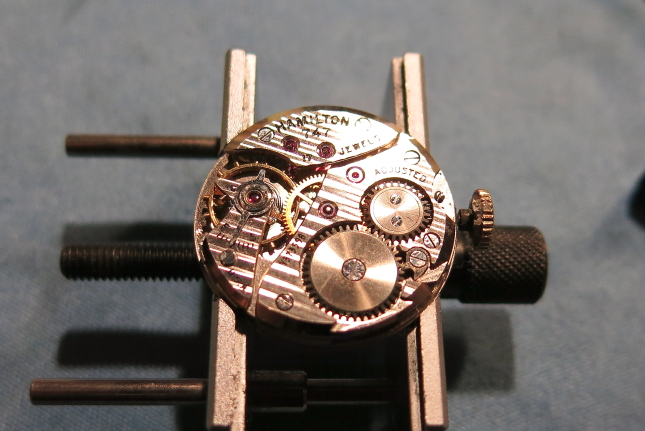 With the dial removed, you now have access to the hour wheel (center) and the cannon pinion below it. These two parts need to be removed in order to pull the center wheel from the reverse side. 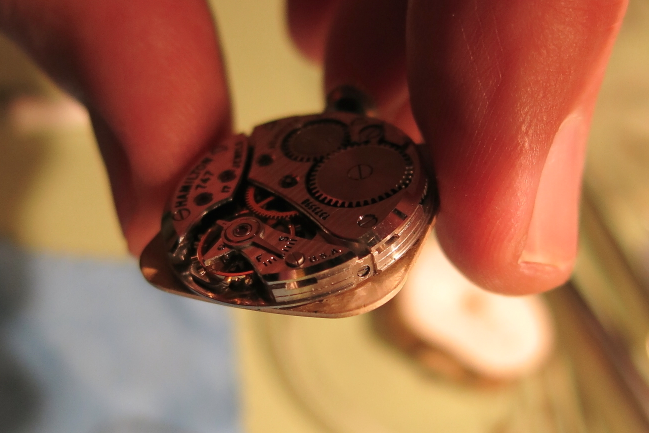 The 8/0 sized, 17 jewel 747 is probably the easiest movement to work on and in my opinion the best movement to learn how to take apart and reassemble a watch movement on. 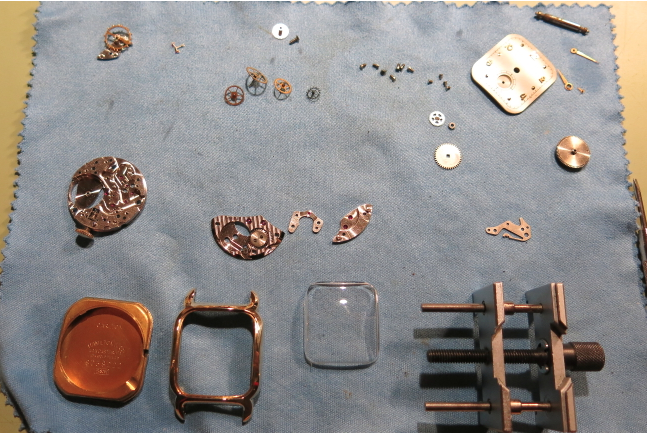 With the movement completely disassembled and put in to the ultrasonic cleaner, I can polish the case. It was already in the ultrasonic cleaner and the crystal came right out - which makes cleaning the case even easier. All the parts are cleaned and set out to dry before reassembly. Here, the pallet fork is reinstalled as well as the escape wheel and fourth wheel beneath the "train bridge". 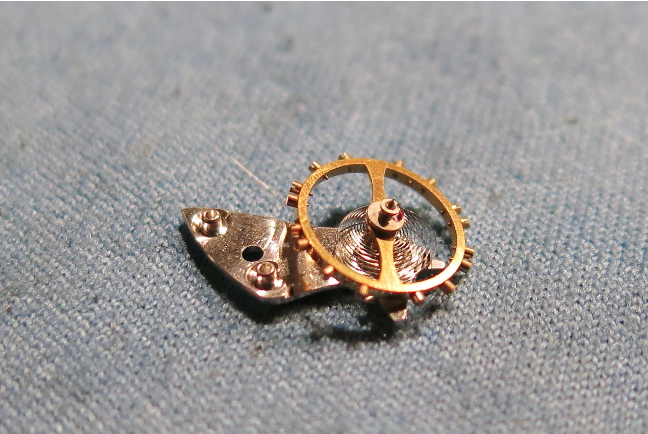 Next to go in is the third wheel and the center wheel, along with the mainspring barrel. 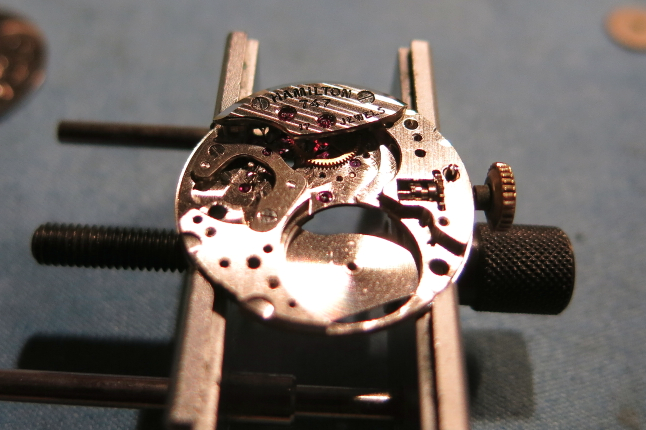 Once the barrel bridge is reinstalled, tension can be re-applied to the mainspring and the movement is ready for the balance assembly to go back on. 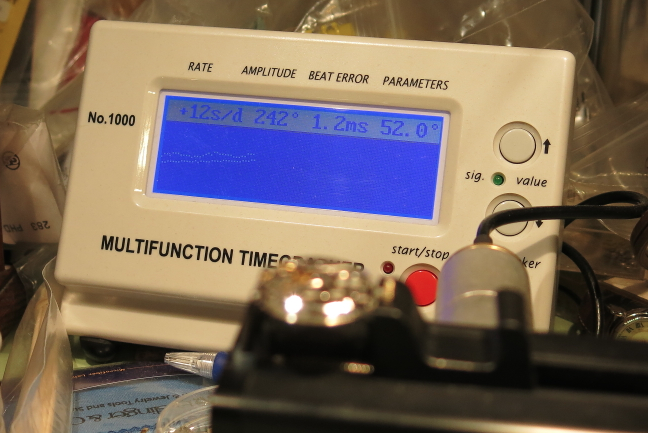 With the watch running, I put it on my timer to see how it is running. 12 seconds fast per day... that's not too bad. 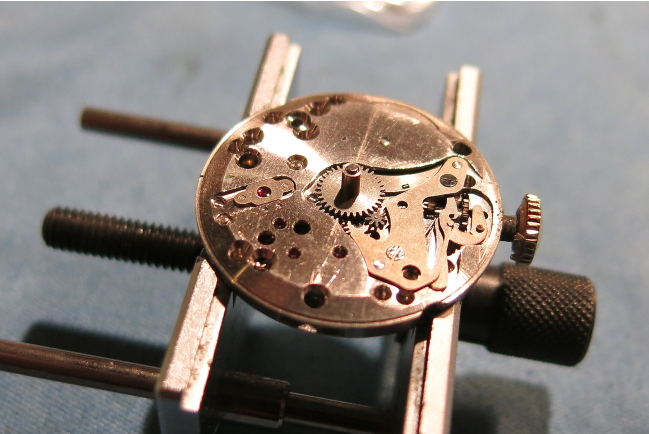 It will change slightly with temperature, position, and mainspring tension so I'll leave it as is. Here's the finished product - all cleaned up and ready for another 60 years of service. Hey Dan - again, love the site! Have you ever considered posting a chart that lists the models and their associated original movements?